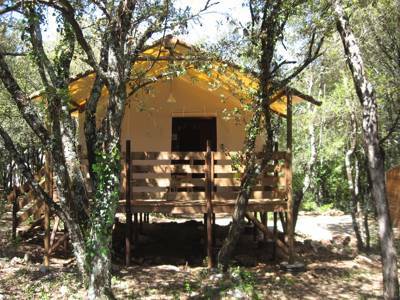 This canvas lodge, above the Gorges de l’Ardeche, provides a comfy retreat after days of swimming, canoeing or mountain biking. The ideal spot for nature lovers and for those wanting to recharge the batteries, with the background sound of the Ardeche whooshing past, and the hum of nature whilst you're nestled among the shady trees in this stunning tree haven. Drift off in a canvas hammock or meander down the cliff path to the Ardeche to discover unspoilt natural swimming spots, or take it up a gear in a number of water sports available in this wild yet beautiful region. 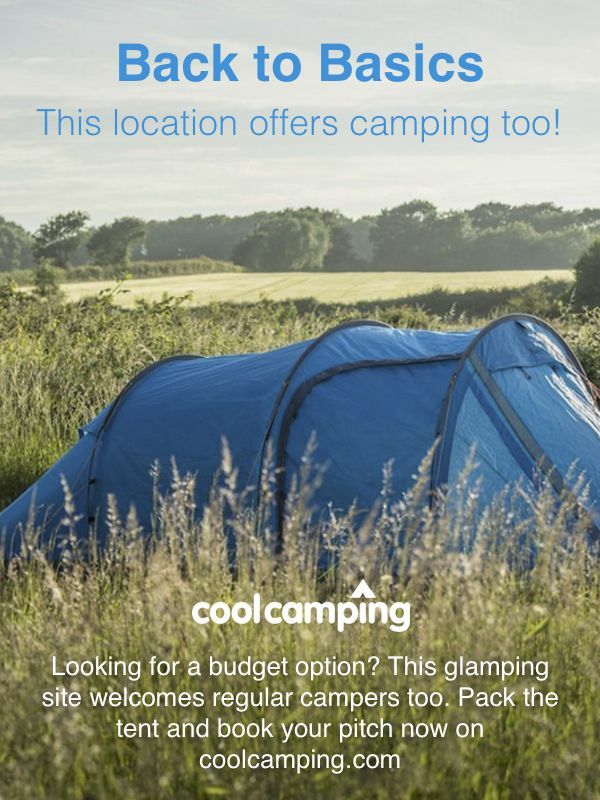 These authentic tent lodges come with a little kitchenette with cooking facilities and a cafetiere, but with your sink facility being located in the communal area. Sleeping arrangements comprise of 1 double bedroom a further bedroom with two single beds. There is an additional pull out bed which accommodates two people but this is located in the communal area and not in a separate bedroom. A perfect dwelling to enjoy nature at its best but with a few little home comforts to boot.